Pictured are 2nd Class pupils from Sixmilebridge Primary School, Morgan Barrett, Rebecca Loughrane, Orla O’Neill and Nathan O’Brien with Shannon Heritage Gardening Team memebers Elaine Hiney Wall, Andrew McNamara, Neilus Geaney and Sinead Moloney planting a Tree in the grounds of Bunratty Castle Co Clare to celebrate National Tree Week 2019.Pic Arthur Ellis. 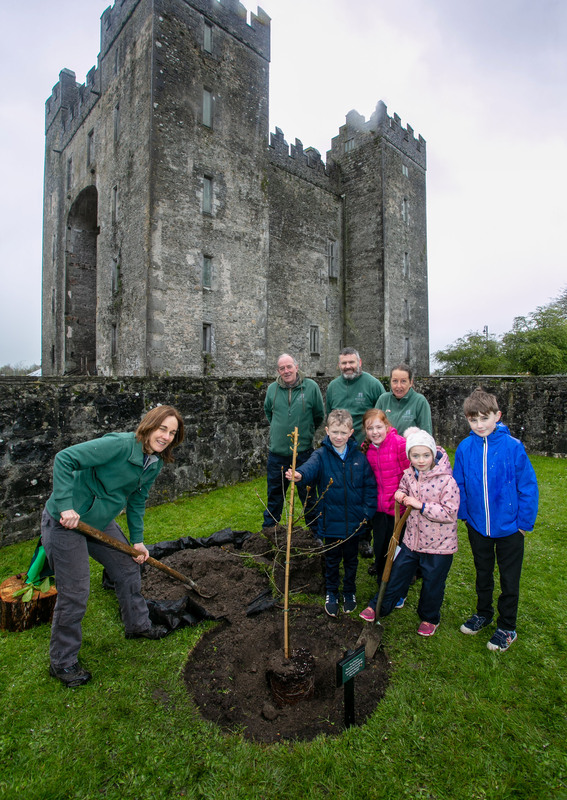 BUNRATTY Castle & Folk Park and Craggaunowen Bronze Age Park in Co. Clare took part in the ‘Plant for our Planet’ initiative this week with tree planting ceremonies to celebrate National Tree Week. This initiative is being encouraged by The Tree Council of Ireland and Forest Industries Ireland in order to help combat climate change, and also ties in with Shannon Heritages’ environmental strategy and continued engagement with local schools. Students from St. Finnachta’s National School, Sixmilebridge donned their gardening boots and gloves as they visited the 15th century Bunratty Castle and Folk Park to plant a Horsechestnut tree, while students from Kilmurry National School planted an Oak tree at Craggaunowen. The children also got to learn about how trees help reduce climate change effects and support the natural world from the Shannon Heritage gardening team. Elaine Hineywall, Gardens Manager, Shannon Heritage said “We are delighted to be taking part in the ‘Plant for our Planet’ initiative. It is crucial to raise awareness of the importance of trees and all their uses which ranges from cleaning the air we breathe to providing a habitat for many species of animals and plants. 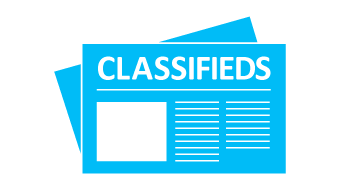 “There is a wonderful Spanish Chestnut tree located in front of Bunratty House which is registered on the Tree Register of Ireland due to its status as an ‘Exceptional Specimen Tree’. Maybe the trees that the children have planted today will one day be just as historic as that one”.